Okay. There was a LOT of baking this weekend which means I went home because I’m currently staying at an apartment with no flour or anything else to bake with. 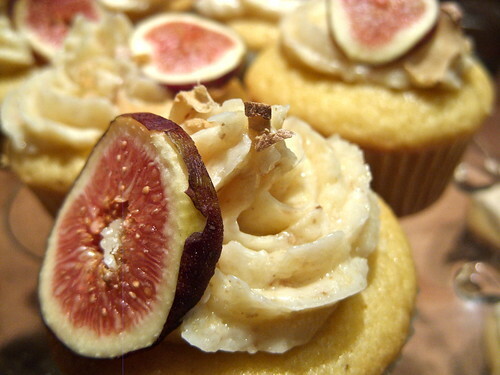 We pitted two beautiful looking and delicious sounding cupcakes against one another. Whose cuisine will reign supreme? After consulting the judges, a decision has finally been reached. It was not easy to say the least. But our winner for Cupcake Hero July [Coconut] is.. This cupcake was an amazing blend of flavors. 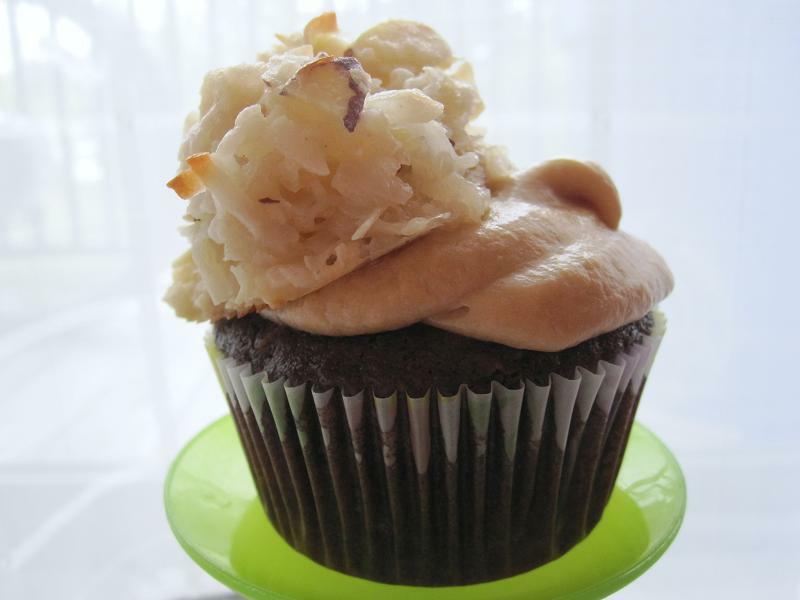 Coffee, almond, chocolate, AND coconut?! Wow. We couldn’t get enough of the icing and the macaroon on top was a very creative way to use coconut and made for a very pretty, but still not overly complicated, cupcake. 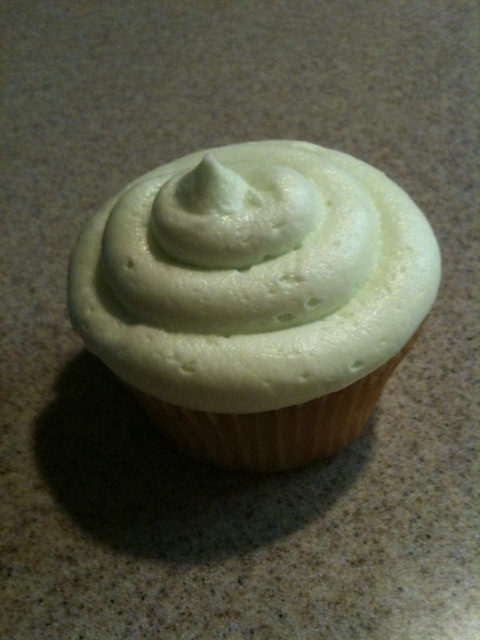 I think I’ll have requests to make this cupcake again soon. The flavors perfectly balanced one another. Thanks again everyone for your contributions to this month’s Cupcake Hero! 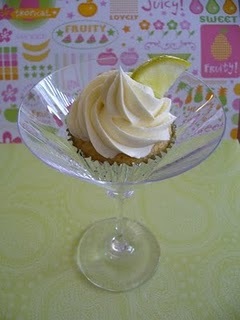 Amy, please send your mailing address to iheartcuppycakes[at]gmail[dot]com to receive your prize package. Can’t wait to see what you come up with for August! Thank you to everyone for their votes and participation! 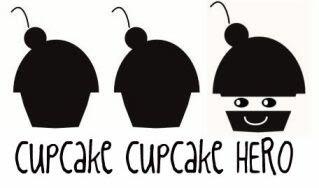 This has been a whirlwind month and I’m ecstatic at the response Cupcake Hero July has had. The polls are now closed and I have made my decision as to which cupcake will face-off head-to-head with the popular vote. This was truly the hardest decision I’ve had to make in a while. The entries were so delicious looking and sounding! Poor Boy had to listen to me whine about my difficult decisions. What a life, eh? 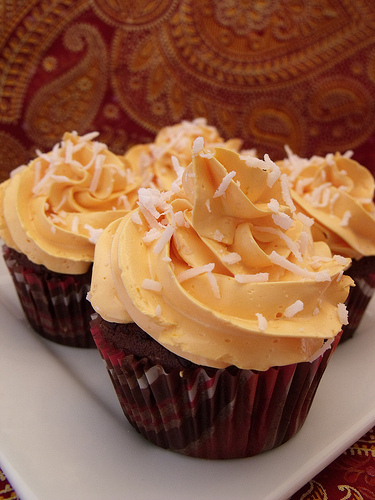 Without further ado, your Cupcake Hero July : Coconut Finalists are..
It’s the battle of chocolate!! I’m quite excited. Thank you again to all the entries. Without you this would not have been much of a competition. I will make both cupcake recipes, hand them out to family and friends, and take votes based on taste as to who will be the next Cupcake Hero! Look out for the winner to be posted July 26 or 27! Good luck to both cupcakes!! 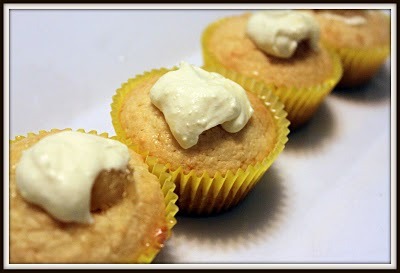 Cupcake Hero July [Coconut] Roundup! 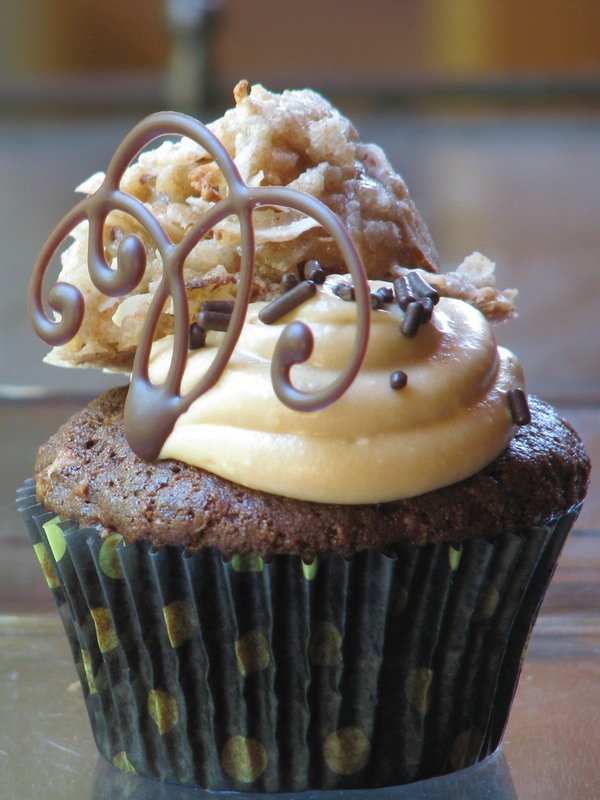 Without further ado, your Cupcake Hero Roundup! VOTING ON THE SIDEBAR OR BELOW IS UNTIL JULY 22ND AT MIDNIGHT!! VOTE FOR YOUR FAVORITE CUPCAKE NOW!! Good luck to all cupcakes. They all look super fantabulous. I’m overjoyed that I get to host this month’s Cupcake Hero and quite honestly didn’t expect to receive such an honor so even though Dorothy warned both finalists to get out their thinking caps in case we won I was not prepared. I’m the girl at the Oscars who didn’t write a speech. The July 2010 Cupcake Hero ingredient is.. Think of the possibilities! 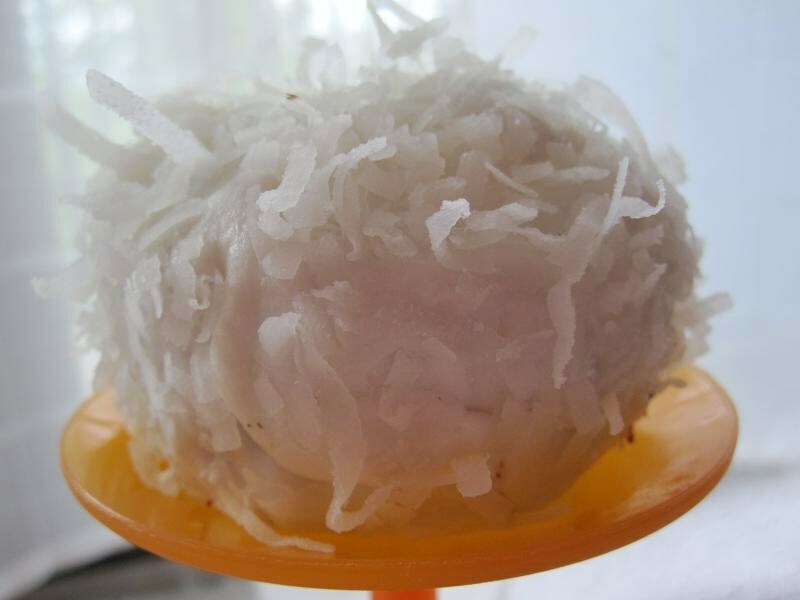 Coconut flakes? Coconut milk? Coconut extract? 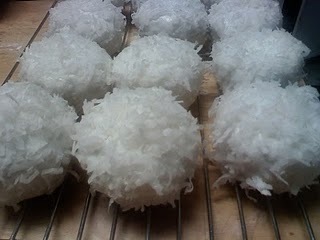 And, if you dare, FRESH coconut (which I’ve never used so that’ll be interesting)! I’m so excited to see all the entries. Anyone can enter but international shipping addresses may not be able to receive the prize package from Clara. 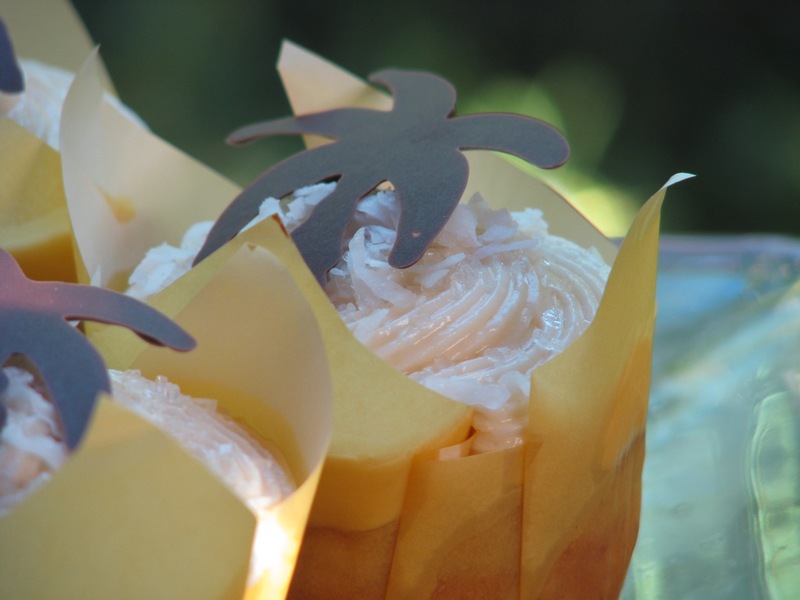 Create a cupcake using COCONUT in at least one component be it the cake itself, frosting, filling, garnish etc. Sky’s the limit. If you blog, create a post and then email your name, the link, and the name of the cupcake to me at smalltownoven[at]gmail[dot]com with Cupcake Hero in the title. No blog? No problem! 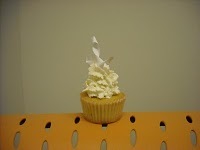 You can still email me your name, the full recipe, pictures, and the name of the cupcake. Also join the Flickr group and upload 1-2 pictures per entry. Multiple entries welcome but separate email per entry. Deadline will be July 17th at midnight. Roundup will be July 18th-19th followed by voting until July 22nd. Readers will pick Finalist #1. I pick Finalist #2. I bake both Finalist cupcakes and assemble a focus group to help me decide the winner to be announced July 26th-27th. For information on prizes, see here. Deadline: JULY17th at MIDNIGHT Eastern Standard Time! 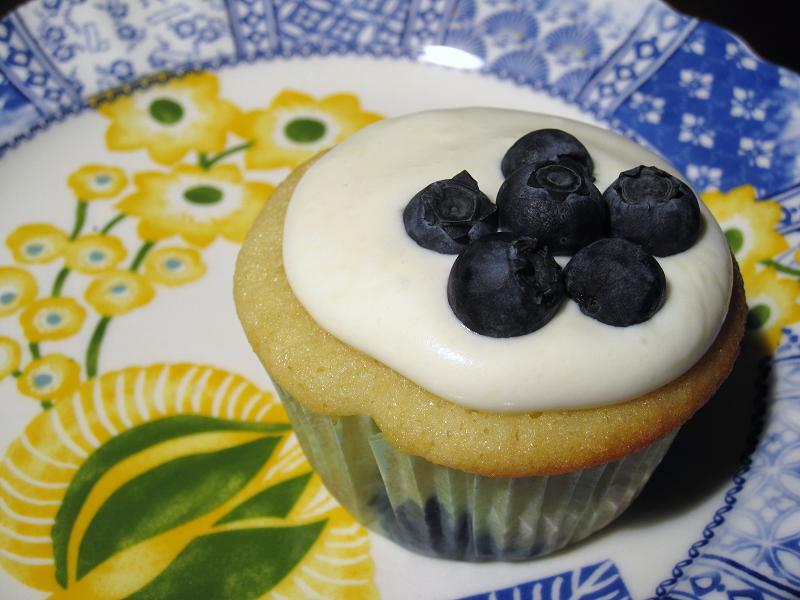 Your last-minute entry was a hit–the addition of mint to the blueberry, white chocolate, and cream party was unique and sublimely delicious! The flavor was cool, refreshing, and a bit unexpected…very original! Thanks for introducing us to the wonder that is blueberry + mint 🙂 Fantastic job for a Cupcake Hero first-timer! Thank you so much to everyone who voted for me or supported me in any way possible. Thanks to Dorothy for hosting Cupcake Hero and Clara for the lovely prize package I’ll receive and. Special thanks to Boy for tasting everything I’ve ever baked whether he wanted to or not and for encouraging me to keep at it. For being my biggest fan. And for booking our trip to Vegas. New Cupcake Hero theme to be announced on July 1st! Sometime in the midst of all my stress and end-of-the-year nervous breakdowns I gave thought to doing away with this blog altogether. It’s still a baby, a little blip on the internet map, and could have very easily fallen away without much of a fuss. When I suggested this to Boy, he was not in agreement. I started this with the sole intention of pushing myself to be a better baker, to create recipes instead of always following someone else’s lead, and to try new things. So, with that in mind, I joined Daring Bakers last month and completed my first challenge earlier this month (the reveal is on the 27th). This past weekend, I decided to try something else too. I’m going for Cupcake Hero. I decided this on Saturday. 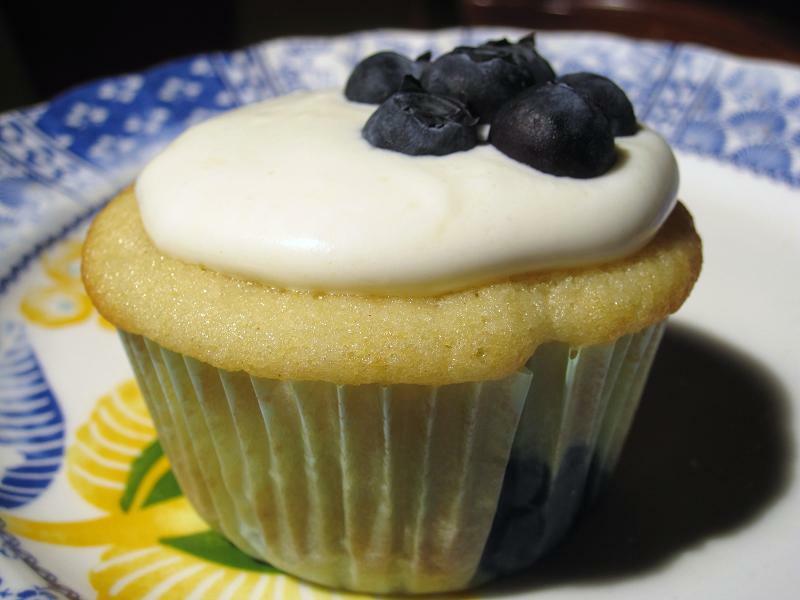 On Sunday I woke up with a few ideas of how to use blueberries in a cupcake and took my sweet time getting to the grocery store etc. Then, last night around 8 pm I realized that the deadline for Cupcake Hero is midnight tonight. I scrambled. But I’m actually quite happy with the result! Maybe I work well under pressure? I even had the chance to have Boy and two other friends try a few! The overwhelming opinion was that they taste “fresh” and that’s exactly what I was going for. Not too sweet, not too heavy, and perfectly summery. Let’s hope I win but if not this is definitely a recipe I’ll keep in my arsenal when I’m looking for something different to bring to a party. They’re delicious. Do ahead: Heat heavy cream and mint leaves in a saucepan until boiling. Take off heat, cover, and steep for 1 hour. Strain mint leaves out of cream and refrigerate until chilled for several hours or overnight (freezer if you’re in a rush). Preheat oven to 350F. Line 12-cake muffin/cupcake pan with appropriate liners. 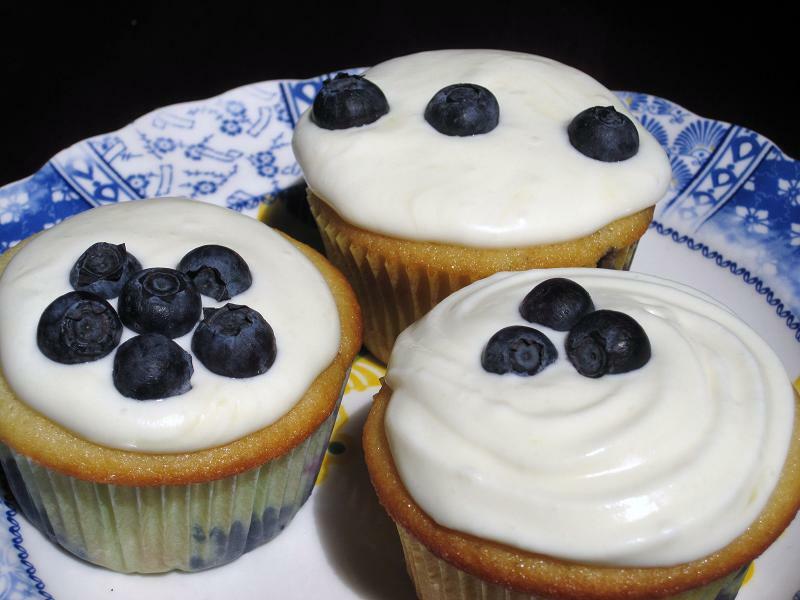 Toss blueberries with 1 tbsp flour. In a large bowl, sift together rest of flour, baking powder, and salt. In a separate bowl, cream sugar and butter together until well blended using a hand or stand mixer. Add eggs one at a time and mix well. Add extracts and mix completely. Add the flour mixture in 3 additions alternating with the milk in 2 additions, mixing well in between each addition. Fold in blueberries. Bake for 20-24 minutes. Cool in pan for 10 minutes before moving to cooling racks. For topping, melt white chocolate with 2 tbsp of mint-infused heavy cream in a large bowl over a pot of simmering water. Be careful not to allow the white chocolate to burn! Once melted, take off heat and allow to cool for 10 minutes. In a separate large bowl, whip the rest of the heavy cream (~3/4 c) until the appropriate consistency. Fold in the cooled white chocolate. 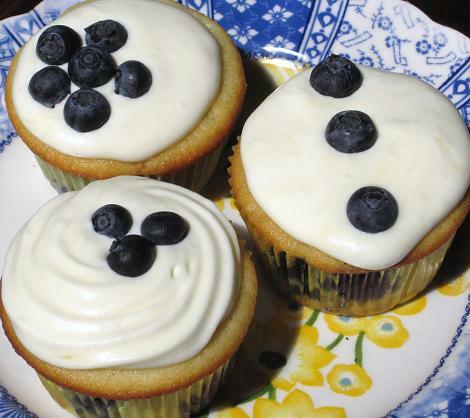 To assemble, place a dollop of topping on each cupcake and garnish with fresh blueberries.